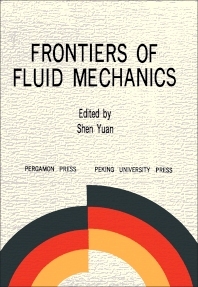 Frontiers of Fluid Mechanics documents the proceedings of the Beijing International Conference on Fluid Mechanics, held in Beijing, People's Republic of China, 1-4 July 1987. The aims of the conference were to provide a forum for a cross-sectional review of the state-of-the-art and new advances in various branches of fluid mechanics, and to promote the exchange of ideas by experts from different parts of the world. The contributions made by researchers at the conference are organized into 18 parts. Part 1 presents invited lectures covering topics such as separated flow, porous flow, and turbulence modeling. Part 2 contains papers dealing with turbulence. Parts 3, 4, and 5 include studies on flow stability and transition, transonic flow, and boundary layer flows and shock waves, respectively. Part 6 is devoted to aerodynamics and gas dynamics. Part 7 examines water waves while Part 8 is devoted to hydrodynamics and hydraulics. The papers in Part 9 examine bubbles and drops. Part 10 deals with experiments involving vortices, jets, wakes, and cavities. Part 11 contains studies on geophysical and astrophysical fluid mechanics. Parts 12 and 13 investigate two-phase flow and flow through porous media, and non-Newtonian flow, respectively. Part 14 takes up magneto-hydrodynamics and physic-chemical flow. Part 15 covers biofluid mechanics. Part 16 contains papers on industrial and environmental fluid mechanics while Part 17 deals with heat transfer. Part 18 contains papers that were received after the conference.